Did you know you can now order your Just Eat takeaway from Rams Surti Vegetarian Restaurant here on View? What did you think of Rams Surti Vegetarian Restaurant? I have been going to Ram's for 9 years and it has always been the most delicious food I have ever tasted. A colleague of mine thinks the chef is the devil as the food is too good! Recently went to Sat Bains in Nottingham which has one Michelin star and was exceptional, but I can honestly say if I had one last meal it would be at Ram's. Dishes to go for; Bhel Puri, Pani Puri, Chiller Paneer, Channa Masala, all to die for! i would recommend this fantastic authentic indian restaurant to all veggie food lovers they have a large cross section of dishes to choose from and all definitely taste different not like other restaurants where all the dishes taste of the same gravy.the prices are just the average unlike all other restaurants and not pricey at all the service is good and fast all in all a second kithen from home ill go back again and again. My family have been regular at Rams for over 7 years now, we mainly get takeway's. We have noticed that over the years the food has never been consistent. and the portions getting smaller but prices go up. We used to order plenty of different dishes there but over the years we have cut down due to the quality of the food; so we tend to make some of the dishes at home and then order a few dishes from Rams. Our recent & final visit to Rams we took the food home and found that the dishes were half the regular portion, so we took it back to complain. In return they topped up the cold portion with some more. The old portion was burnt due to being recooked. No offer of money back or any real apology for the inconvenience. Cleary Rams are trying cut food portions to compensate for poor business. But, restaurants are not the only one's suffering. I visted this restaurant yesterday and was just amazed by the standard of meals. Fresh ingredients, carefully prepared and authentically presented. 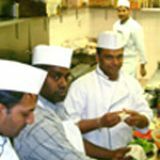 Quite the best Indian meal ever - and I have had few over the years! Service was attentive, very helpful but never obtrusive. I can't praise this place enough. Give it a go. You will not be disappointed. I can't believe you've got the right restuarant. it was a few years ago I guess. I went yesterday and was SOOO impressed. The food is just amazing and the service close to perfect. Decor is a bit basic but when the food is so good, who cares? Please do go back and try them again. In my review below, I'd meant to give it5 stars, not the default 3. 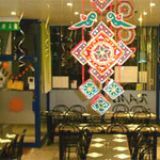 A great place for authentic Gujarati food, made fresh and without using those awful packaged mixes. Everything we ordered was just absolutely terrific. On previous occasions, I'd found the food too oily or greasy but they must have gotten a better chef or improved. The staff were friendly without being fawning. So all fans of real Gujarati food: There's now a place in England where you can eat! A former resident of Baroda now living in Cambridge. The food at Rams has always been excellent. They take such care in what they serve to their customers. The waiters are very friendly and very engaging, and always try to make your time there a pleasant experience. Every time I eat at Rams I am glad I have done so. I would recommend it to anyone. I went to Rams this week and fully enjoyed myself. 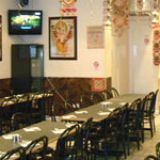 The food came fresh and hot and the service from the staff was very attentive. I will definately be going back next week. 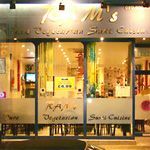 The staff and management at Rams Surti Vegetarian was very rude & pushy and the food was stale & costly, considering the quality of food dished out. I thought that Rams Surti had absolutely no professionalism and I'll not be recommending it to anyone. Fantastic place, the food is sublime. Unpretentious surroundings. Try the lunches, ridiculously cheap, loads to eat and served in super quick time!